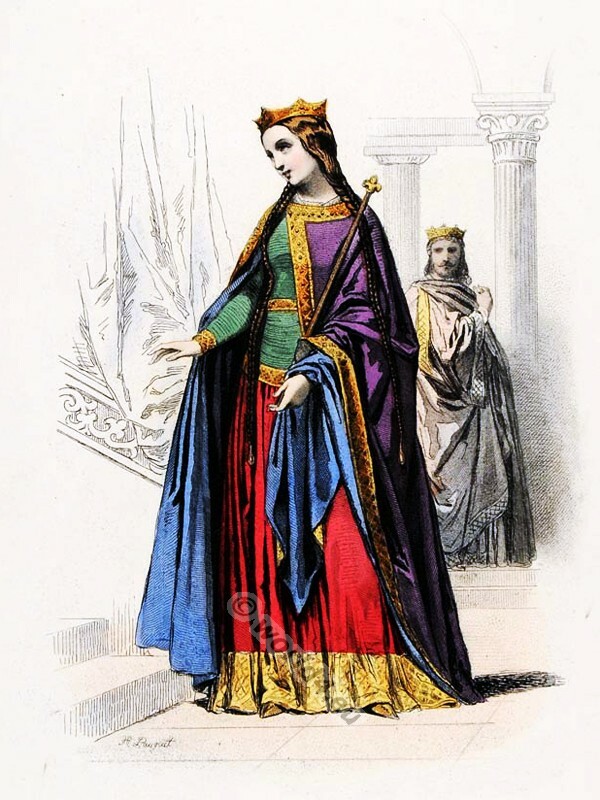 Carolingian queen and king costumes. 10th century. Home » Carolingian queen and king costumes. 10th century. French carolingian queen and king 10th century. Ceremonial robes. This entry was posted in 10th Century, Carolingian, Court dress, France, Middle Ages, Modes et Costumes Historiques, Nobility and tagged Byzantine fashion era, Medieval costume on 11/28/13 by world4.